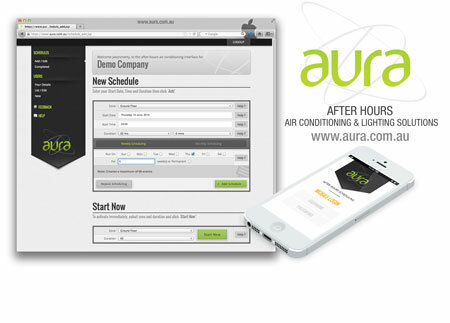 Aura is a web based after hours scheduling system for AC and Lighting. run a more efficient building, empower your tenants. Easily set after-hours air conditioning schedules via the internet. Set repeat schedules for those busy periods or late meetings. Turn off the air conditioning when or after you leave (after hours) saving the planet and saving you money. Aura takes the after-hours burden away from Building Managers. It is packed with features! Gives older buildings a technology upgrade! Schedule daylight savings changes and public holidays automatically!